Illinois leads the nation in cracking down on drunk drivers. Keep informed of the latest DUI news. 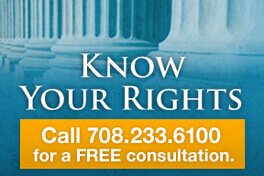 If you have been arrested for a DUI in Illinois, call an Illinois DUI Attorney at The Law Offices of Dennis F. Dwyer. Elmhurst Roadside Safety Checkpoint - Elmhurst, IL - The roadside safety checkpoint will take place on a major roadway in Elmhurst starting at 11:30 p.m. Oct. 19. A Daily Herald editorial says it's time we all take responsibility to end the suburbs' DUI problem. Palos Cops Plan DUI Crackdown - Palos, IL - Palos Park and Palos Heights police will be monitoring area roadways for impaired and distracted drivers. Let’s be clear: This bill does nothing of the sort. Jail detainees have not been convicted of any crime. KANKAKEE &mdash; Beware. 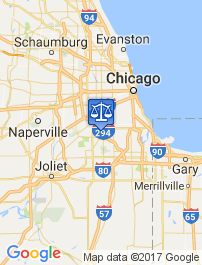 The long arm of the law can reach out of Kankakee County, the state of Illinois and the United States and grab you if you flee justice. Vote On Assault Weapons Ban Could Come Tuesday - Deerfield, IL - Owners of the prohibited firearms will have 60 days from Tuesday to get rid of them if trustees approve the amendment as expected. Carjackings are on the rise in the city and the suburbs. It's time for authorities to step in and make the streets safer. The assignments are part of the Justice Department's Project Safe Neighborhoods program. It's been 364 days since Eric Brady lost his wife to a drunk driver. Esteban Tomas, 33, plowed into the passenger side of Jeannie Brady's car about one hour into the new year as she was heading home to Mahomet on Interstate 74.Within a few minutes, she was dead and Brady's life was forever changed. WILLIAMSON CO. -- Authorities plan to increase enforcement during the New Year's weekend as part of an effort to create safer roads. The fireworks in Springfield didn’t stop when the budget war ended. More than 200 new state laws will take effect Jan. 1, changing what people can and can’t do in Illinois next year. With a new year comes several new laws in the state of Illinois. In fact, about 200 new laws will take affect in 2018. Hinsdale-Clarendon Hills, IL - The DuPage County Sheriff's Office is asking residents to be vigilant in securing their vehicles and homes. Winnetka-Glencoe, IL - Stay safe for &quot;Drinksgiving&quot; one of the busiest nights for bars — and cops looking for drunk drivers. Plainfield, IL - Here's a look at what you should expect if you're traveling for Thanksgiving 2017 in Illinois. CHAMPAIGN-URBANA, Ill. (WCIA) -- A program helping criminals get their lives back on track is starting its second year. The Gun Trace Report released by the city of Chicago contains some important kernels of truth. Sadly, the report&apos;s misguided solutions will, with a few exceptions, do nothing to end the mayhem. HAMMOND &mdash; New traffic camera technology led police to a suspect connected to multiple home invasions, robberies and one sexual assault in the city and also in Lansing. The Crimes Stoppers tip program is falling by the wayside, perhaps another victim of Facebook. Oak Lawn, IL - Oak Lawn police announce results of 2017 Labor Day DUI enforcement campaign. 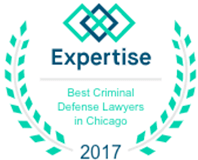 If you were arrested for a DUI in Illinois, give Dennis a call (708) 233-6100.